Homeopathic Medicine emerged from the scientific studies and writings of Dr. Samuel Hahnemann (1755-1843) in Germany. 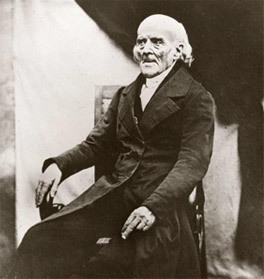 Dr. Hahnemann graduated from medical school in 1779 and began his first homeopathic experiments in 1790. Hahnemann discovered that the symptoms which a substance produced in a healthy person were the same symptoms a homeopathically prepared remedy cured in a sick individual. This led him to adopt the “law of similars” as a universal therapeutic principle and he spent the remainder of his life working on a system of medicine based on this universal law. Homeopathic medicines are called remedies. They originate from natural sources and are prepared in homeopathic pharmacies in a specific way which renders them non-toxic. Homeopathic remedies provoke a powerful self-healing reaction in the patient. Homeopathic philosophy states that it is only the living organism which can heal itself. The homeopathically prepared remedy provokes a healing reaction by an individual's own system which then induces a recovery or cure. The remedy acts as a catalyst that triggers this healing response, like a match igniting a fire. As long as the fire is burning and the individual is improving, no further dosing is needed. Once the individual's improvement has visibly halted, the next dose of the remedy is administered. Homeopathy is effective because it targets the underlying cause of disease. From a homeopathic perspective, the fundamental cause of disease is a unique inherent susceptibility of that individual to certain illnesses. A well chosen homeopathic remedy normalizes the patient's susceptibilities to illness. The strengthened vital system can cure itself of most disease states and the individual gains a lowered level of susceptibility to future illness. Naturopathy is a form of alternative medicine which is primarily based in North America. Naturopaths receive basic training in a number of natural health care modalities including botanical medicine, nutrition, homeopathy, traditional Chinese medicine, chiropractic treatment and acupuncture. In most other parts of the world, each of these modalities is a separate specialty requiring an extensive understanding which is only obtained by years of training and experience. Most alternative health care practitioners will tell you that there is a lifetime of knowledge in each modality. Specialization is important. When seeking professional assistance, it is essential to go to a specialist who is not merely dabbling in a methodology but is competent and dedicated to their craft. While I respect each of the healing techniques utilized by Naturopaths, I have chosen to practice Homeopathy as it is capable of curing physical, mental and emotional ailments gently and effectively. The basic concepts of homeopathy are not aligned with many of the concepts of botanical medicine, including the idea of using a minimal dose, which is central to the efficacy and non-toxic nature of homeopathy. Many people ask me why they should seek the assistance of a Homeopath rather than of a Naturopath, as technically both practitioners have received training in homeopathy. I do not believe that the homeopathic training received by Naturopaths is comparable to that received by Homeopaths. I have immersed myself in 6 years of dedicated homeopathic education, in addition to self studying. My training and experience have enabled me to achieve phenomenal healing results for a range of ailments. Most Naturopaths take a few courses pertaining to homeopathy during their educational career and may or may not choose to utilize homeopathy in their practice. I have been referred many patients by Naturopaths who do not feel confident in their homeopathic skills, but who recognize that homeopathy would be the most effective treatment available for their patients. The Homeopath approaches illness by treating the whole person and not only the presenting disease. By enhancing the self-healing powers of the body, the patient’s system is able to heal itself in all areas which are out of balance, both mental and physical. Since homeopathic remedies do not have any chemical toxicity, they are safe for even the most sensitive patients such as pregnant women, infants and the elderly. Do Homeopathic Remedies Interact With Other Medications? Homeopathic remedies are hypo-molecular, therefore, they cannot interact with other medications. The process of serial dilution and succussion which they undergo at the homeopathic pharmacy renders them safe and non-toxic, yet powerfully therapeutic. Homeopathic remedies are available in both liquid and pellet forms and are to be taken as directed by your Homeopath. In pellet form, the remedy consists of small pellets composed of lactose (milk sugar) and sucrose, with the remedy saturated onto the pellets. The pellets are used as a carrier substance because they are inert and do not interfere with the remedy or other medications.